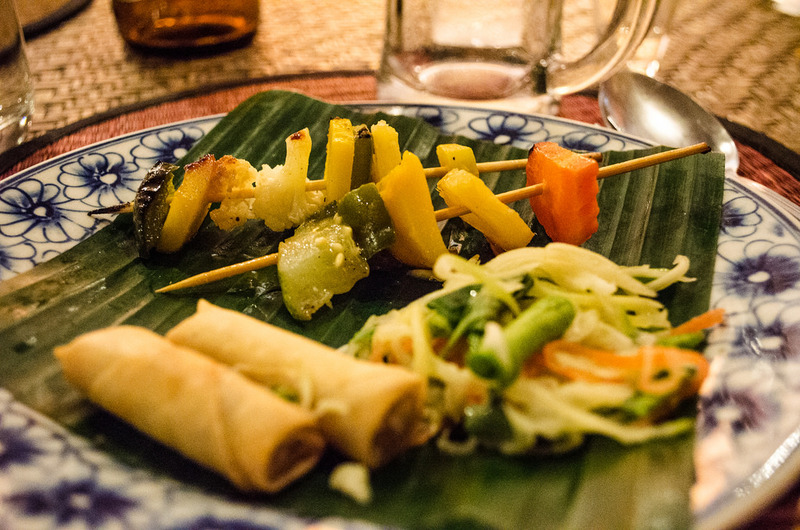 Cambodian cuisine may not be as well known as food from neighbouring Thailand or Vietnam, but it’s just as delicious. 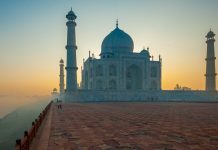 It uses more herbs and fewer spices than most other South-East Asian food. 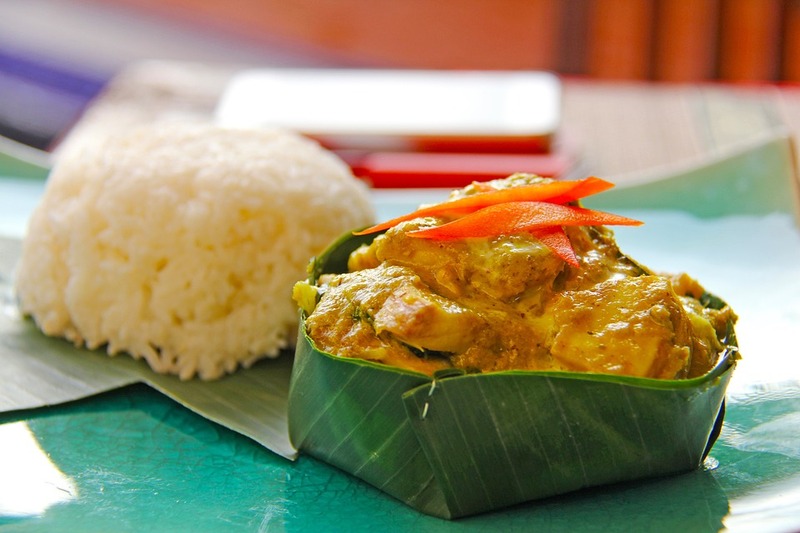 Here are some of the tastiest Cambodian dishes you should try on your next visit. 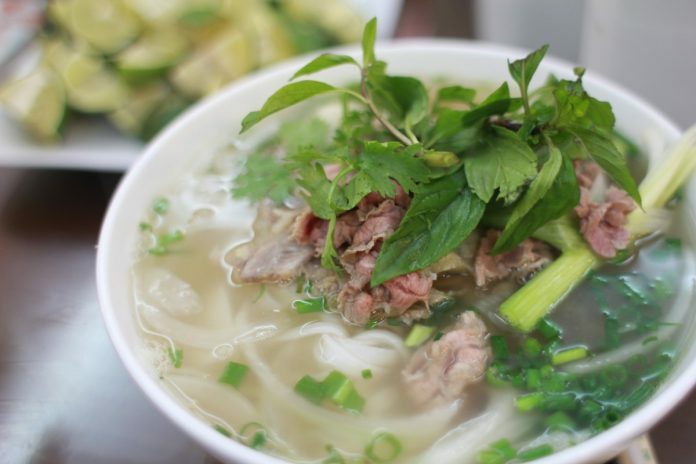 This noodle soup is a popular Cambodian breakfast dish that is served throughout the day. Rice vermicelli noodles are topped with a broth of pork or beef bones, along with fried shallots, garlic, bean sprouts, green onions, and aromatic herbs. Pork or fish balls are added, and its served with chilli paste and half a lime. 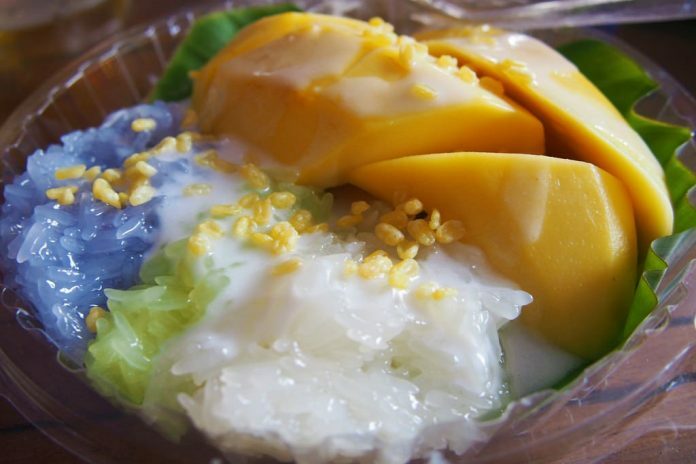 A common dessert in Cambodia is sweet sticky rice combined with tart mango. It’s served warm with coconut milk which softens the rice. 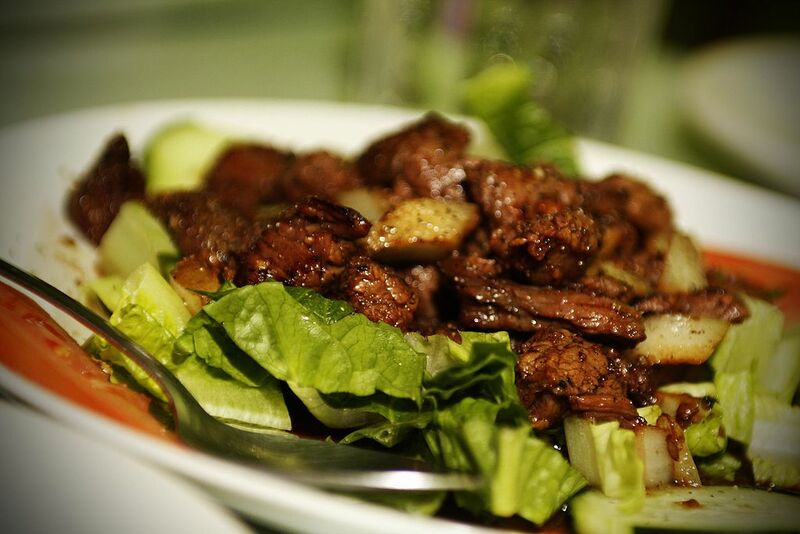 Another signature Cambodian dish, beef loc lac is a salad. Stir-fried strips of tender beef are served on top of a bed of lettuce leaves, sliced tomatoes, cucumbers, and raw onions. A fried egg is often placed on top, and it’s served with a dipping sauce of lime juice and Kampot pepper. 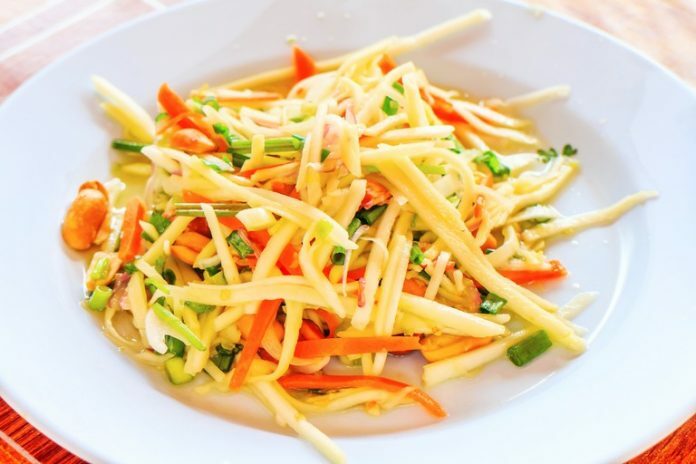 This refreshing light salad is made with slices of chicken breast served with crunchy banana blossom flower, fried shallots, garlic, chillies and lemongrass, with fresh lime squeezed on top. This delicious dessert consists of a sweet custard steamed inside a pumpkin. 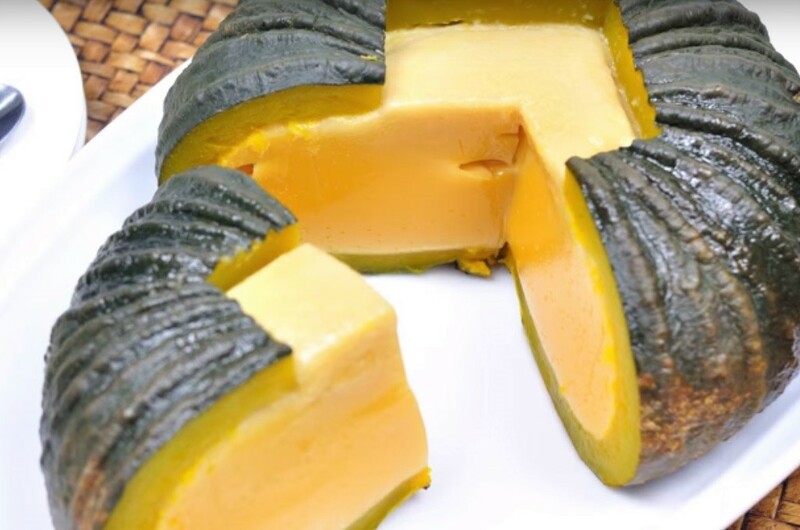 This pumpkin custard, also called sankhya lapov, is served both after everyday meals and during special occasions. 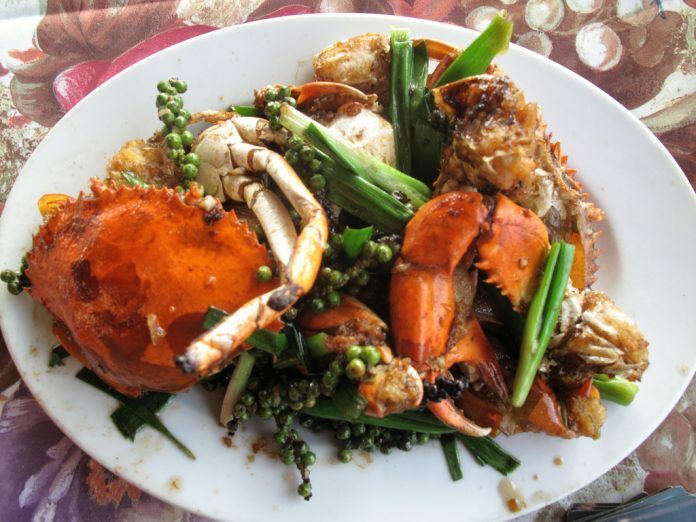 Crab and pepper is a popular dish across the country. But, it is at its best in the seaside town of Kep. Crabs are caught daily and sold at the bustling crab market, where they are served at one of the many shacks with Kampot pepper. 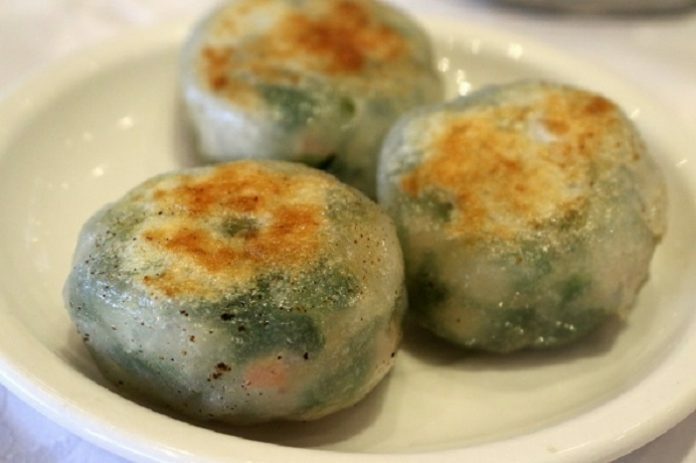 Chive cakes, also known as num kachay, are a common street snack originating from China. Made with glutinous rice flour and chopped chives, this surprisingly delicious snack is served with a sweet and spicy fish sauce and fried in shallow pans. These rice cakes, also called num ansom chek, are especially popular during festivals like during the Khmer New Year and Pchum Ben. 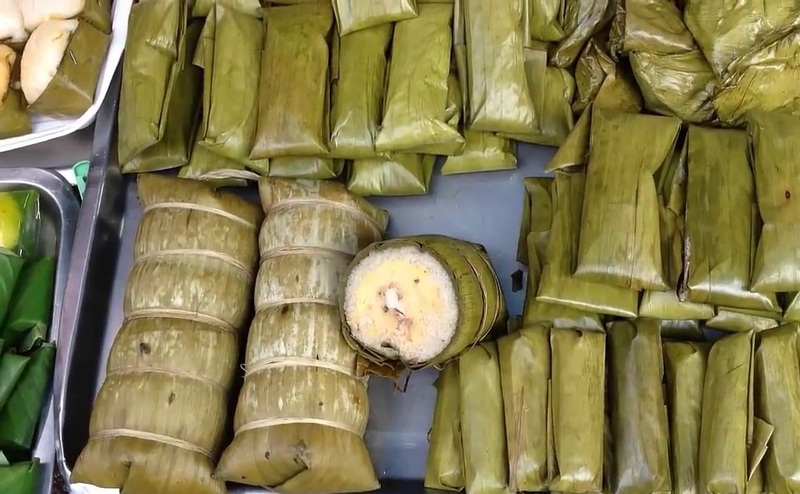 They are filled with bananas before being wrapped in banana leaves and steamed. This refreshing salad is ideal to combat the Cambodian heat. Full of flavour, it’s made with sliced green mango, tomatoes, shallots, pickled cucumber, onion, peppers, fresh chilli, fish sauce, and fresh basil or mint. 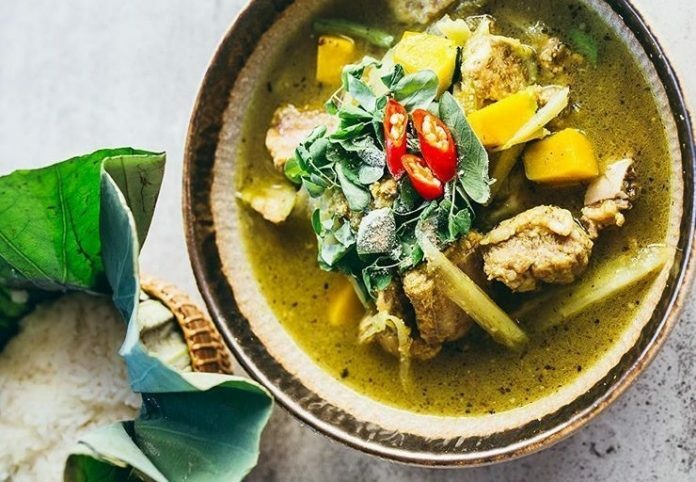 Khmer curries are milder and less spicy than their Thai or Indian counterparts. 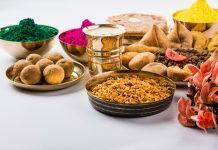 While recipes vary, they normally feature chicken, coconut cream, fish sauce, garlic, shallots, turmeric, ginger, and more herbs than spices. It is eaten with rice or bread. 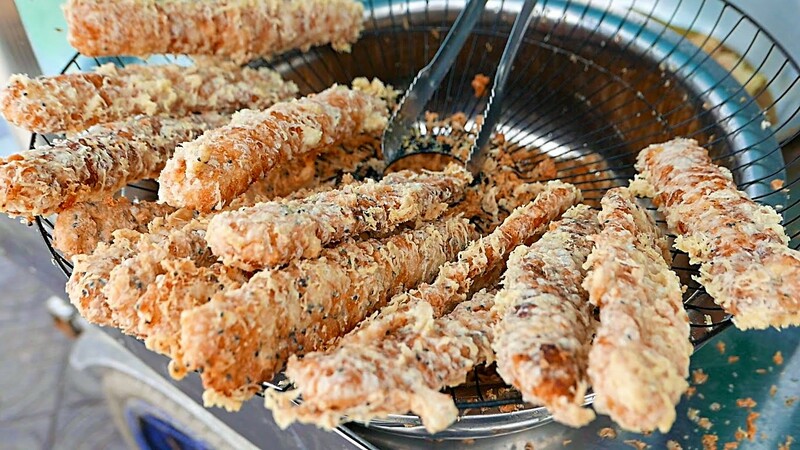 A sweet snack, these deep-fried bananas can be found at street food carts across Cambodia. Ripe bananas are flattened and dipped in a batter with black sesame seeds and then fried until crisp. Cambodian roadsides are full of people eating this breakfast dish. 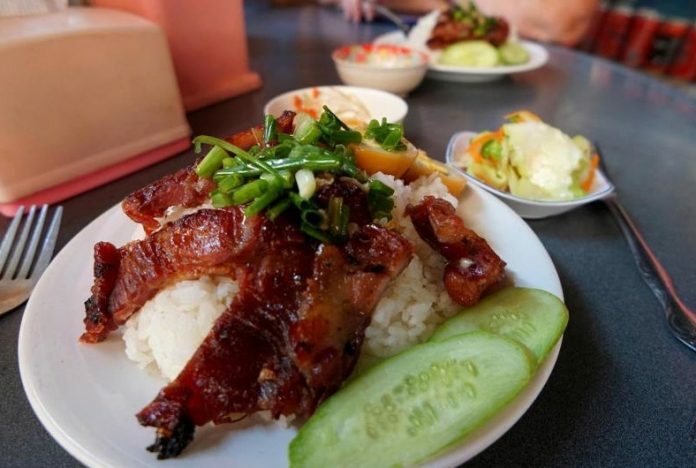 Called bai sach chrouk, it features barbecued sliced pork marinated in garlic and oil. This is served over rice along with sliced cucumbers and pickled vegetables. 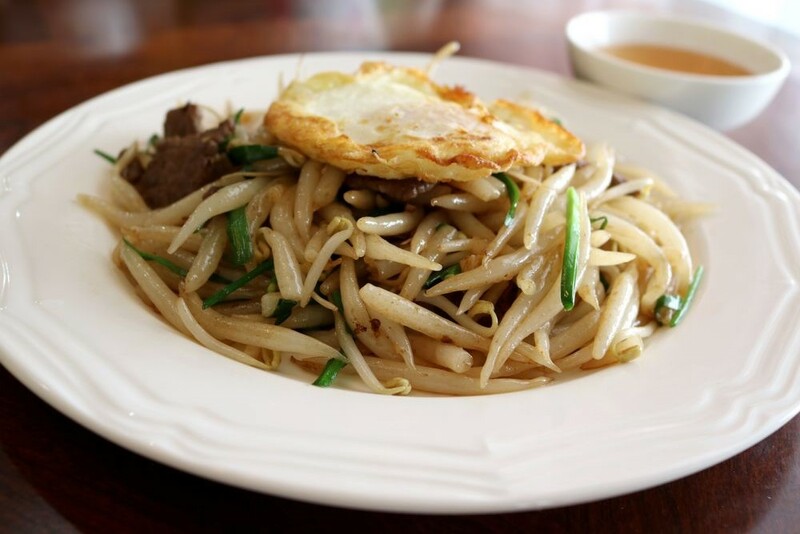 This popular Cambodian dish is often eaten in the mornings. 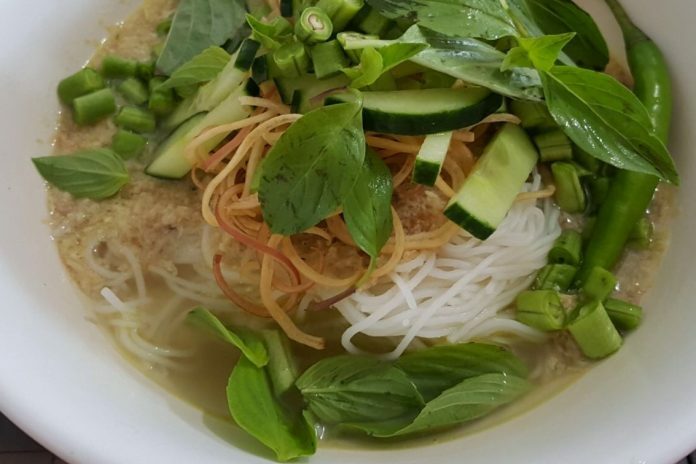 Thin rice noodles are served with a chicken curry or a fish-based broth, along with a lot of fresh bean sprouts, banana flowers, basil, cucumbers and a wide array of green vegetables. 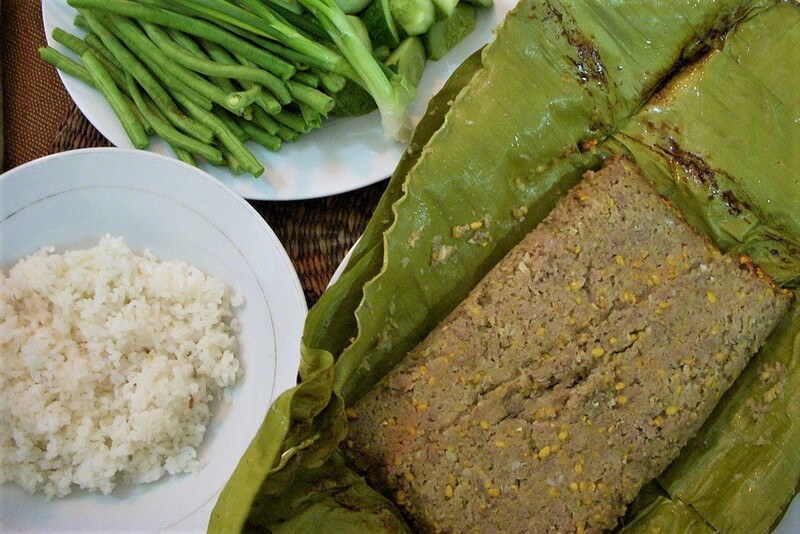 This staple dish is often an acquired taste for most visitors to Cambodia. It is a fermented fish paste that is heavily salted and used as a seasoning, or alongside rice and salads. Its strong salty flavour and pungent odour have led to prahok being called “Cambodian cheese”. This dish is named for the short fat noodles that are used to make it. 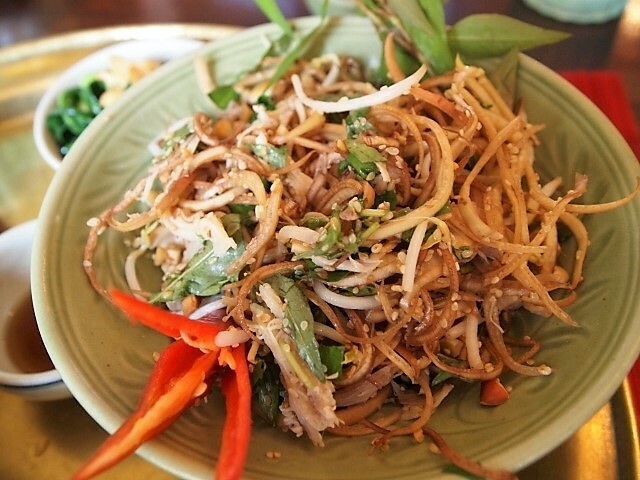 They are stir-fried with beef, broccoli, bean sprouts, herbs and a healthy serving of fish and soy sauce. Lort cha is then topped off with a fried egg and sweet chilli sauce and is served from street carts across Cambodia. In Cambodia, and in much of Southeast Asia, coffee beans are roasted after drying in the sun, which preserves the sugars and oils. This makes it uniquely sweet and rich. 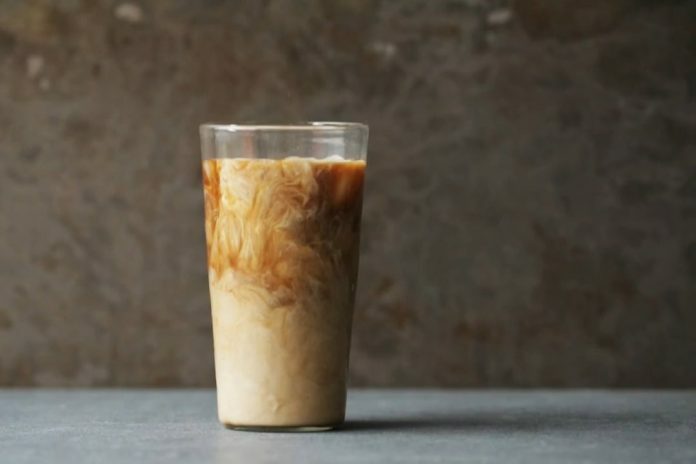 To stay cool in the heat of the Cambodian sun, a popular drink is iced coffee, which is made with sweetened condensed milk and is poured over crushed ice. Skewered and grilled meats are popular street foods across Cambodia, and you can find everything from pork sausages, to spiders and scorpions. However, one of the most popular is ang dtray-meauk or grilled squid. Markets and street food carts across coastal towns sell this snack which is often served with chilli sauce. Also known as kralan, bamboo sticky rice is another popular street food snack. Sticky rice is mixed with black beans, grated coconut, and coconut milk. 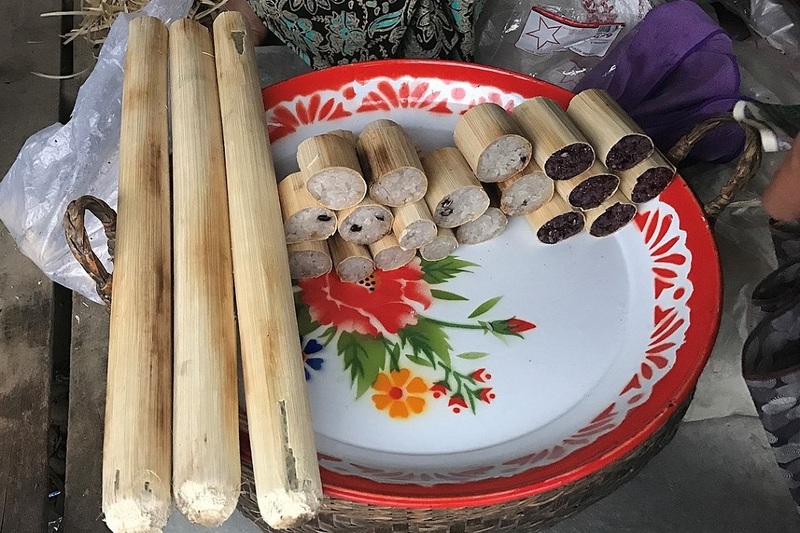 This is then packed into bamboo sticks and slowly roasted over a charcoal fire, creating sweet and fragrant rice, with hints of smokey flavours. It is also very popular in Thailand. 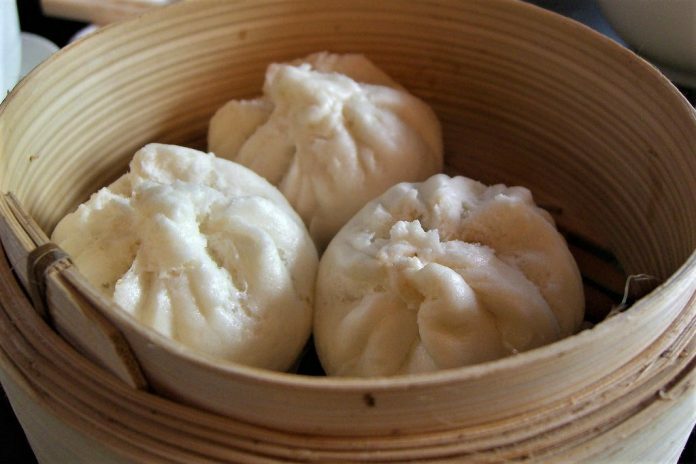 Another dish that is found in street stalls is the freshly steamed pork bun. These buns are hard-boiled and stuffed with pork and egg, with few condiments or garnishes. Though most associated with China, the Cambodian buns are much lighter and plainer, making them the perfect afternoon snack. Moving onto some more unusual Cambodian dishes, balut is definitely not for the squeamish. It is a fertilized duck egg, containing an embryo, that is hard-boiled and eaten whole. 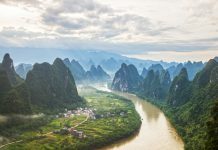 While this snack can also be found in neighbouring countries like the Philippines and Vietnam, the Cambodian variation is much simpler, with few herbs or condiments served. 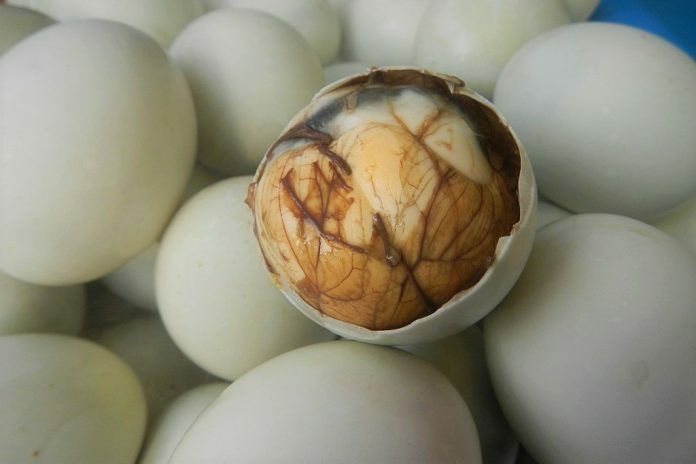 Balut is said to be nutritious and rich in protein and is quite popular with locals. Another popular Cambodian snack is deep-fried tarantulas (!). 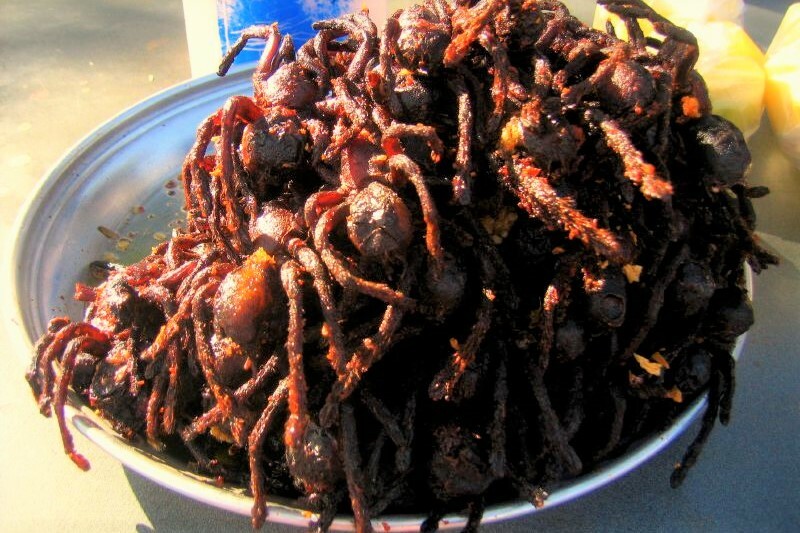 Found throughout the country, the spiders are fried with chilli until they are crispy on the outside. You can also find grilled worms and crickets as well as red tree ants and scorpions. 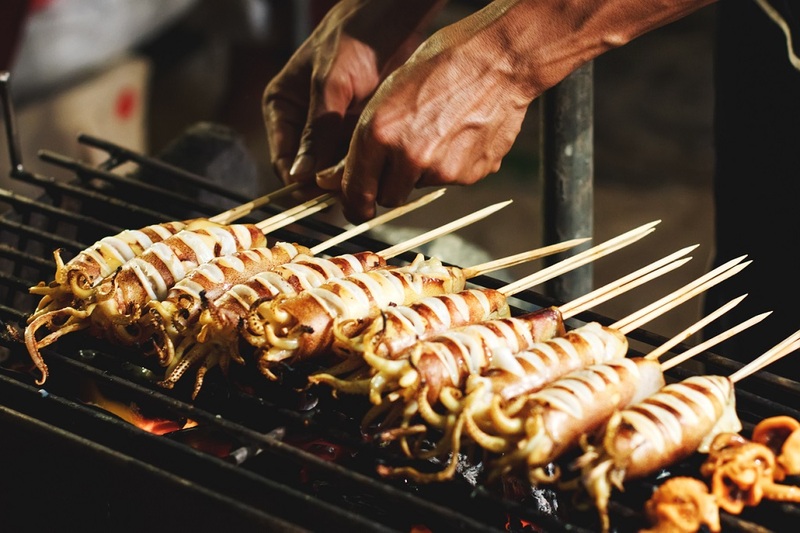 There are tons of more unusual Cambodian dishes, such as grilled frogs, fried bread and shrimp, or Num Pang (sandwiches). Meanwhile, you can also check out why Japanese food is so healthy.